Here at Wow!! Real Estate we have a wealth of experience having worked the coastline between La Cala and Elviria for many years. 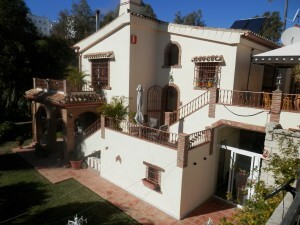 We live and work in the Mijas Costa area so we know it extremely well. Our experience is unsurpassed and we fully understand the market so you can feel relaxed and benefit from our professional advice seven days a week. We have an extensive portfolio of villas, town houses, apartments and selective plots of land where you can literally design and build your own home. We promise to listen to your requirements and help you find the property you are looking for. Whether you are buying or selling it is comforting for you to know that we are affiliated to a networking organisation which enables over 500 other agents to view every property we have for sale and to assist buyers find what they are looking for. This means we can sell your property quickly or – if you are buying – find your new home fast. We work hard for you!! !